One of the biggest questions I hear from many fellow conservationists working in education and outreach is, “How do you connect with minorities?” As the Diversity Outreach Specialist for the South Carolina Department of Natural Resources (SCDNR) Diversity Outreach Program, I focus on promoting nature-related outdoor activities and increasing awareness of the SCDNR to African Americans in South Carolina. Do I better connect with African Americans because I am African American myself? Maybe. Or, maybe that is not the main reason. In her keynote address, Dr. 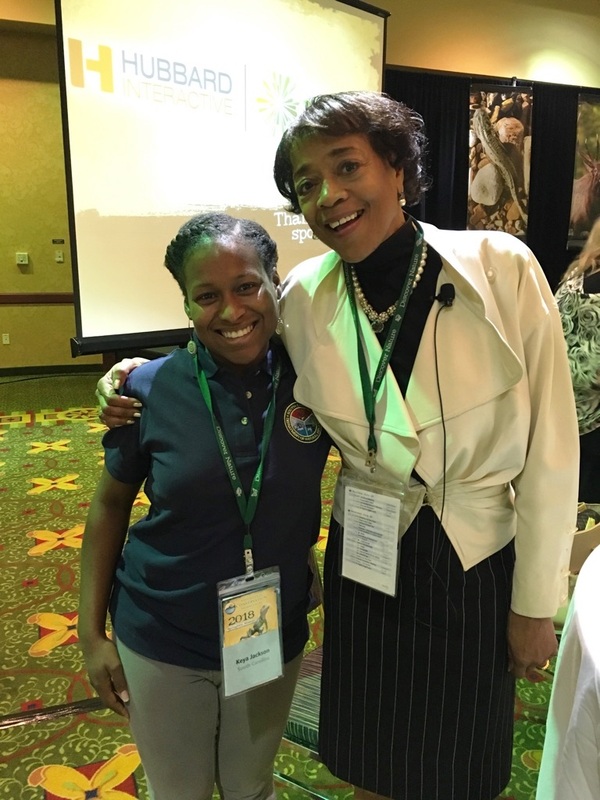 Crystal Kuykendall eloquently answered these questions in a very spirited and engaging speech addressing Diversity and Inclusion in the Outdoors. 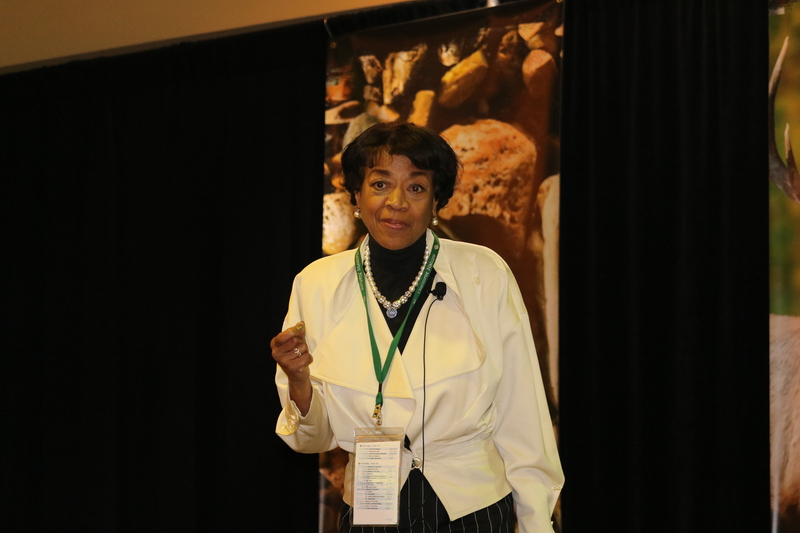 Instead of focusing on why minorities aren’t being receptive to conservation messages, she challenged us to focus on our own biases that may prevent us from going out on a limb to reach the diverse fruit. Biases such as our audience’s prior education, prior behavior, socioeconomic status, physical attraction/appearance, gender, age, race/ethnicity and so on may haze our attitudes towards a group, and thus impact our overall expectations of them. To further explain this point, Dr. Kuykendall acted out the roles of two different communicators who had different expectations of us as her audience. As Communicator A, her demeanor showed us that her expectations of us were low. She quickly ran through a list of arbitrary words and phrases such as “Bible” and “window” and asked us to repeat them back to her. Our inability to do so only supported her original bias that we were incapable of learning the material and refused to be reached. On the other hand, Communicator B exuded great confidence in her audience. She used a phrase to help us give meaning to the words, and to everyone’s surprise, we were able recite them at the end. As Dr. Kuykendall recounted, “It’s not what you say, but how you choose to make your message heard”. R — building Relationships, having respect for our audience and practicing resilience in reaching communities. To further assist with pointers on how to reach diverse audiences, Dr. Kuykendall wrote From Rage to Hope: Strategies for Reclaiming Black & Hispanic Students, which has reached many across the nation. For more information on this topic, visit https://crystalkuykendall.com. To connect with the SCDNR Diversity Outreach Program, follow https://facebook.com/SCDNRDiversity.